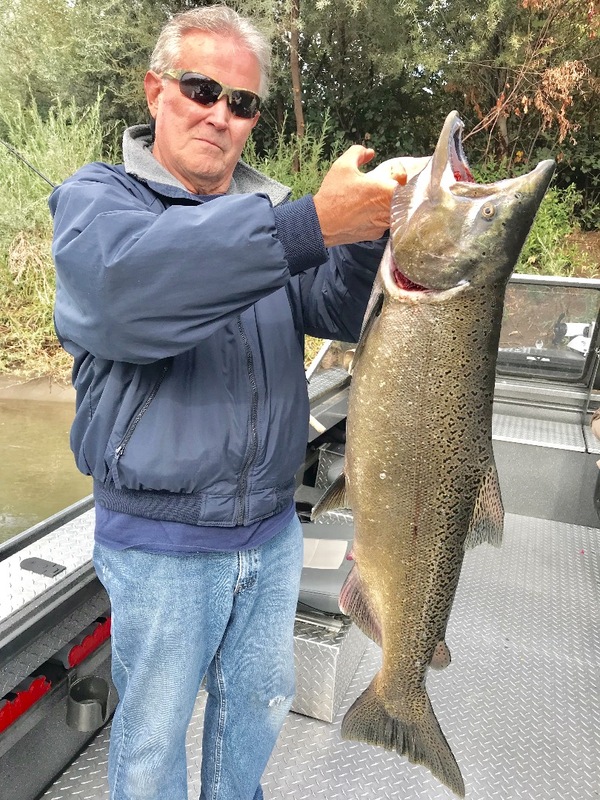 Sac River fall salmon surge! Another nice day #2 Sacramento River King salmon. Hooking one of these giants is one thing, getting it to the net is another! 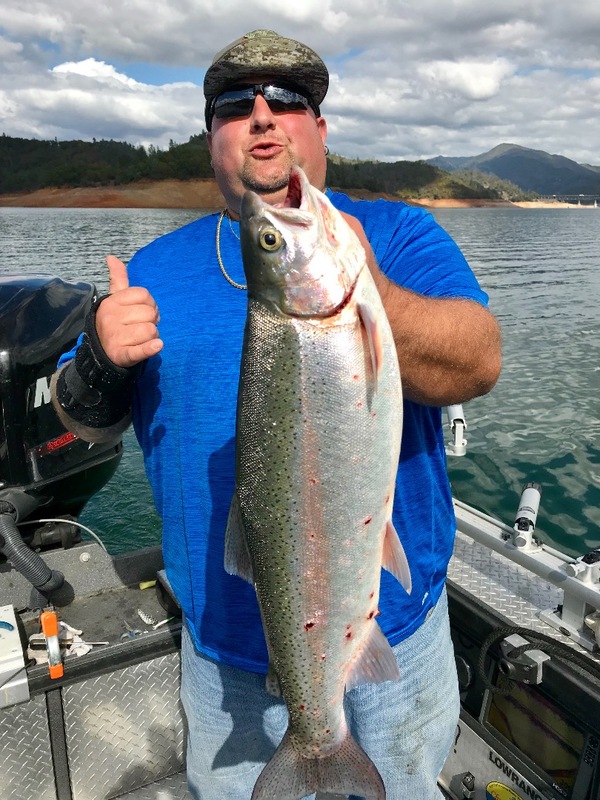 Ive fished the Sacramento River for fall King salmon the past three days and I have to report that the fishing is quite good! Rveryone is catching salmon and when the bite is on, there are nets up everywhere. 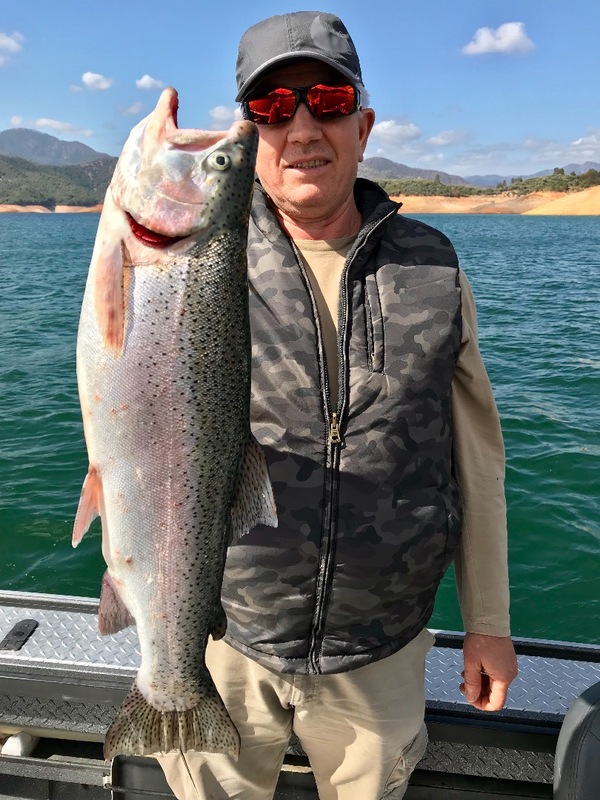 We're scoring limits of Kings in the Anderson area and should be for the next few weeks before we lose a good number of available salmon to Coleman National Fish Hatchery on Battle Creek. 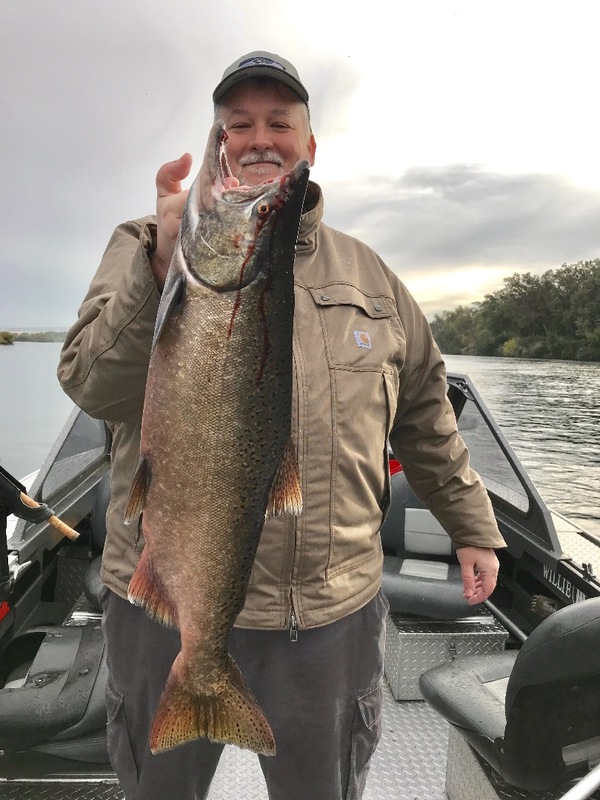 Coleman is already seeing good numbers and thats a positive sign for future salmon runs on the upper reaches of the lower Sacramento River. I'm fishing through the 15th of October and will continue to run salmon/steelhead trips as long as there are good numbers of salmon available. Early morning Sacramento River King salmon on day #1 with the Ueckerts from Nevada. A nice hen caught on the Sacramento River yesterday! Shasta is fickle in the fall!